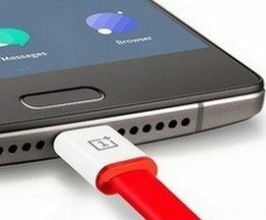 The OnePlus 2 was launched in August 2014 and quickly caught everyone’s attention due to the remarkable features it offered at a decent price point. Just like its predecessor, OnePlus One, the phone has been a stunner with really amazing features hidden under its sleeves. Overall the phone qualifies as one of the best buy smartphones and serves as a value for money product. Lets have a look at the review of OnePlus 2 price and its specifications. The OnePlus 2 shares a lot of design clues from its predecessor, OnePlus One. It shares the same big appearance as OnePlus One. While the front is straight, the back panel of the phone is slightly curved. The phone features a distinct metal frame, that too, with a removable back cover. Except the front side of the phone, all other sides are covered with same sandstone black finish that provides a matte-like appearance to the phone. The matte type finish makes an excellent grip when using the phone, but seem to lack comfort. The camera with LED flashlight is provided at the center of the back panel; a USB Type-C port is provided at the bottom of the phone, and so is the modern speaker grille. The OnePlus 2 is big as its dimensions are 5.98 x 2.95 x 0.39 inches, making it hard to use with a single hand. The phone is heavy as it weighs 175 grams (or 6.17 Oz). The OnePlus 2 is available in Sandstone Black color. The OnePlus 2 features with 5.5 inches LTPS LCD capacitive touchscreen with 16M colors providing a screen resolution of 1080 x 1920 pixels. The phone has around 401 pixels per inch, thus producing very beautiful and vibrant colors while the display is also multi-touch enabled. The screen is protected by Corning Gorilla Glass 3 which makes it scratch resistant. There is no problem associated with the viewing angles and color reproduction. The display at this price of OnePlus 2 is dazzling and so will catch your attention instantly. The OnePlus 2 is powered by Qualcomm MSM8994 Snapdragon 810 chipset clocked to 1.56 GHz Cortex-A53 Quad-core& 1.82 GHz Cortex-A57 Quad-core processor. The Octa-core processor leaves no room for performance related issues while backed with 3 GB RAM/16GB model, the phone is a beast. When playing heavily encoded 1080p videos it will not show any lag or delayed touch response and no tearing and glitches. Massive games, like Asphalt 8 also run smoothly, all credits to the powerful Adreno 430 GPU. The benchmark tests done on the phone placed it on par with flagship phones like that of Samsung, HTC, and Sony. Android version 5.1.1 has been chosen as the Operating System while the phone uses OnePlus’s Oxygen 2.2.1 UI for running the phone. During the setup of the phone, the phone asks you to enable a feature called ‘Shelf.' On enabling this feature, it becomes the left-most screen of your phone. It’s similar to Google that we are so accustomed to seeing on our phone. If you don’t like the Shelf feature, then you can easily get rid of it by installing the Google Now launcher. Another great thing that comes with the UI is the added support for multiple users and a useful guest mode. Not only this, the UI allows you to access the app permissions manager similar to that of Xiaomi. The OnePlus 2 is provided with a 13 MP primary camera that is assisted by autofocus, dual-LED flash and checks quality. The secondary camera is equipped with a 5 MP camera having 1080p@30fps quality. Full HD Videos are recorded with the phone with options of recording at 2160p@30fps and 720p@120fps video quality. The video recording also features HDR, stereo sound recording and check quality. At this price ,the primary camera has lot more other features that include Geo-tagging, touch focus, face detection, panorama and HDR mode. The camera captures some brilliant pics of high quality in broad daylight. However, the camera works mediocrely in dim lights as the image it captures lack details. Then again the dim light photography is excellent and far better in OnePlus 2 in this price range. Video recording can be done in 4K definition thus providing ultra HD quality videos. An alert slider has been given on the phone, which is a nifty addition to the phone’s hardware. The alert slider lets the user toggle between different profiles. The loudspeaker provided in the phone gets really loud, that too, without compromising the sound quality. The OnePlus 2 phone is powered by a 3300 mAh non-removable Li-PO battery. The phone can run for a complete day with heavy usage, and still some juice would be left in the battery. The fingerprint scanner provided in the phone is sensitive and works without any problem. The connectivity options include Wi-Fi 802.11 a/b/g/nac, Wi-Fi Direct, DLNA, hotspot, Bluetooth Version 4.1, A2DP, A-GPS, GLONASS, USB version 2.0, with Type-C 1.0 reversible connector. The OnePlus 2 is an amazing dual-SIM flagship smartphone from the Chinese manufacturer. The phone has an awesome camera and offers a decent battery life, which makes it perfect for letting its users have a complete Android experience. The only downside been noticed with this phone is the absence of NFC, which again we believe, many users won’t mind at all. OnePlus 2 is the best smartphone present in the market for the users searching premium featured phone at an affordable range. The phone boasts exciting features like Fingerprint Scanner and Octa-Core Processor topped with a low price point that surely qualifies it as the show-stopper amongst the smartphones.